Guarana is known as an effective energy booster. It contains about about twice the amount of caffeine found in coffee beans. Over the last two decades, guarana has gained popularity as an energy supplement, and is now widely used in various sports and energy drinks, and as well as in a wide variety of fat burners and diet pills. Guarana drinks such as "Guarana Antarctica" are very popular in Brazil. Because Guarana is rich in caffeine, it has been reported to have beneficial effects for cognitive functions. It works as an energy enhancer, and also has weight loss uses. Some studies have also found Guarana to have antioxidant and antibacterial benefits. The positive effects of Guarana on cognitive functions and mental fatigue is well documented in various studies involving lab animals, and human subjects. These studies have found Guarana to help improve cognitive performance, while reducing mental fatigue. It has also been found to help memory performance, and improve mood and alertness. In another UK study performed also at Northumbria University, a double-blind, counterbalanced, placebo-controlled study assessed the acute mood and cognitive effects throughout the day of four different doses of a standardized guaraná extract. The four doses were 37.5mg, 75mg, 150mg and 300 mg. The 26 human subjects performed various mental and cognitive exercises. The study found that Guarana increased the alertness and improved the mood ratings of the participants. It also improved the secondary memory performance of the subjects. The research found that the two lower doses (37.5mg and 75mg) produced more positive cognitive effects than the two higher doses (150mg and 300mg). Aside from its popular use as an energy drink / supplement, Guarana is also widely used in numerous fat burners and diet pills. Guarana contains caffeine, which is a stimulant that's known to have weight loss benefits. 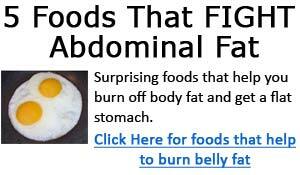 Because of this, it is a common ingredient you will find in weight loss supplements. Studies performed on common weight loss ingredient mixtures including Yerba Mate, Guarana, Damiana, and green tea have consistently found a positive correlation between using these ingredients and achieving weight loss. These Guarana side effects will vary from individual to individual. Some individuals who tolerate stimulants well may not notice any side effects, while others will experience these side effects at varying degrees. In a study performed at the Nova Southeastern University in Florida, a study was undertaking to assess the safety issues associated with commercially available energy drinks. Their research involved Red Bull, caffeine, glucose, ginseng, guarana, taurine, and bitter orange. Based on their study, most energy drinks contain natural products such as guarana, ginseng, and taurine with as much as 80 to 300mg of caffeine per average 8 oz serving. Based on their research results, they stated that "no reports were identified of negative effects associated with taurine, ginseng, and guarana used in the amounts found in most energy drinks." However, "the commonly reported adverse effects seen with caffeine in the quantities present in most energy drinks are insomnia, nervousness, and headache." Based on their study results, they concluded that the amounts of guarana, taurine, and ginseng contained in various popular energy drinks are much below the required amounts to deliver either therapeutic benefits or adverse side effects. 1. Evid Based Complement Alternat Med. 2007 Dec 5. Guarana's Journey from Regional Tonic to Aphrodisiac and Global Energy Drink. Department of Geography, PO Box 117315, University of Florida, Gainesville, FL 32611-7315, USA. E- nsmith@geog.ufl.edu. 3. Appetite. 2008 Mar-May;50(2-3):506-13. Epub 2007 Oct 30. 4. J Psychopharmacol. 2007 Jan;21(1):65-70. Epub 2006 Mar 13. Human Cognitive Neuroscience Unit, Division of Psychology, Northumbria University, Newcastle upon Tyne, UK. 5. Sao Paulo Med J. 1996 Jan-Feb;114(1):1073-8. The effects of long-term administration of guarana on the cognition of normal, elderly volunteers. Brazilian Information Center on Psychotropic Drugs of the Department of Psychobiology, Federal University of São Paulo, Brazil. Department of Ultrasound, Medical Center Charlottenlund, Trunnevangen 4A, DK 2920, Charlottenlund, Denmark. 7. Eur J Med Res. 2006 Aug 30;11(8):343-50. Efficacy of 12 weeks supplementation of a botanical extract-based weight loss formula on body weight, body composition and blood chemistry in healthy, overweight subjects--a randomised double-blind placebo-controlled clinical trial. Opala T, Rzymski P, Pischel I, Wilczak M, Wozniak J. Department of Mother's and Child's Health, Poznan University of Medical Science, Polna St 33, Poznan, Poland. 8. J Am Pharm Assoc (2003). 2008 May-Jun;48(3):e55-63; quiz e64-7. Safety issues associated with commercially available energy drinks. Clauson KA, Shields KM, McQueen CE, Persad N.